← Still winter? Still working away! It’s the last day of April and we are marching boldly towards the finish line. So close! Will we make it? 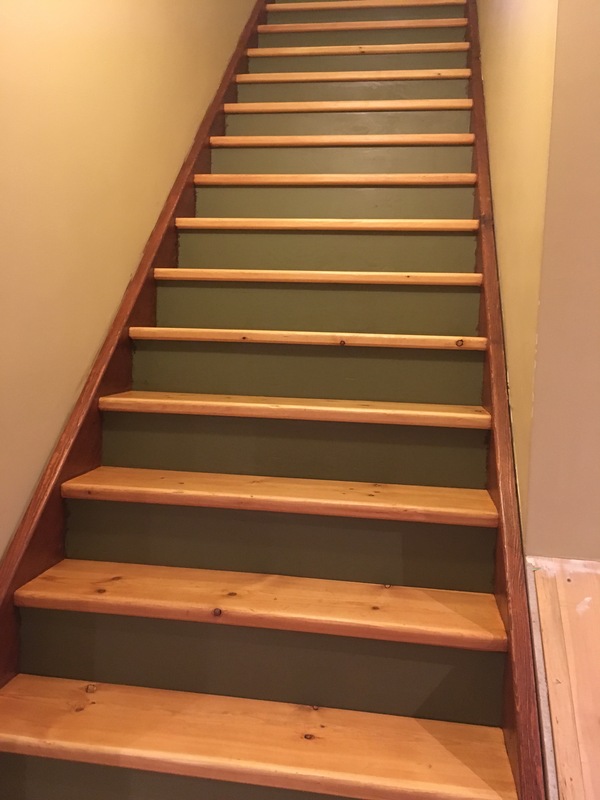 Ron has stepped up to the plate in a huge way and has now done the final sand of the stairs, stained them and proceeded to varnish both the stairs and the hangers. This will just leave me with the final touch up of the green paint on the risers. The stairs are off limits until we finish so that’s a bit of a crimp having to go outside for basement access. Meanwhile I was stalled due to weather and then back issues so Ron took over today and did the first coat of varnish on all the trim boards. 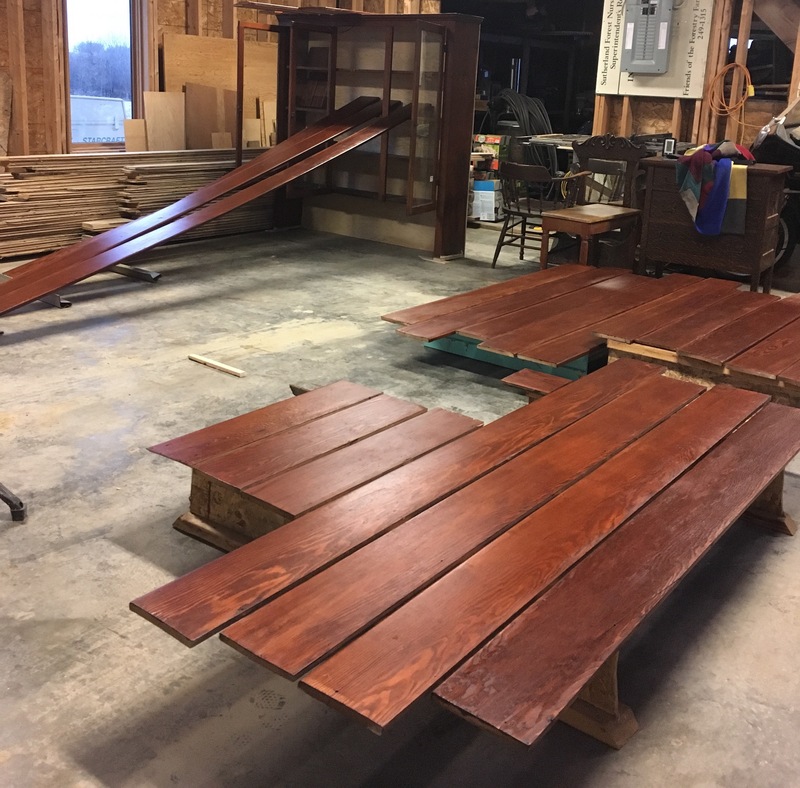 This leaves one final coat on them and then they can be installed. It’s really a pain not having a great space to work in and we’ve had to be very creative due to temperature and critters. It’s still too cool out for masonary but Ron had the tractor running the other day. Soon it will be time to till and plant which means inside time has almost come to a close. Will we make it? Check out the next blog post for further details. This entry was posted in 1918 Eaton's House, Basement, Projects and tagged Projects. Bookmark the permalink. You are my inspiration! Of course you will make it!